A beautiful charm that can be added to any jewelry piece or item. I placed it on my charm bracelet and it is a great way to raise awareness. I simply opened the attached loop using pliers to add to my bracelet. You could also add the charm to your keychain or a necklace chain for a beautiful necklace. The charm is about the size of a nickel. One day we were walking in the park with our son and he bent down to pick up a dandelion. He was in awe as we taught him how to make a wish and blow the dandelion into the wind. I wished for healing as we were currently facing a tumor-scare and it was just days before his upcoming MRI. For that one moment, we were any other family at the park, watching him blow away that dandelion and laugh like any other child without a care in the world. That dandelion gave us more than a wish, it gave us a memory to last a lifetime. So when I saw these beautiful Dandelion necklaces I had to have one to remind me of that beautiful day. 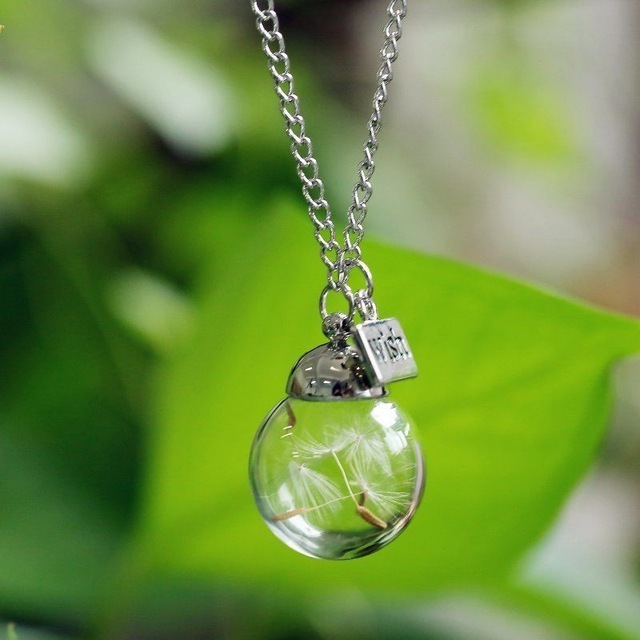 The Dandelion necklace has a real dandelion seed inside the bulb. The chain is 24" long with a small "wish" charm. "I'm BIG and I know it!" Jacob was diagnosed with Beckwith-Wiedemann Syndrome at birth, which is an overgrowth disorder. We constantly receive comments about his large size. At first it was overwhelming, but now we have embraced it and decided to help raise awareness for BWS. We welcome you to visit our shop and thank you for sharing with friends and family!